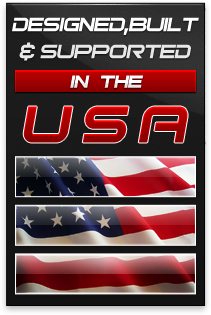 Coach Controls has been building high quality wiring systems for the automotive racing industry for more than a decade and is now proud to offer these modern Universal Wiring Kits for street use. The heart of our kits is the Power Center, distributing power through fuses and relays to all circuits. This means longer life and more power to your system for easier starting, brighter headlights, and better working power windows. Even daytime running lights are provided as a standard safety feature. High currents can cause switches to get hot. All Coach Controls wire kits are designed the way new cars are built today using relays to carry heavy loads instead of switches. Relays offer an efficient and reliable means of switching high currents with minimal power loss. Auto manufacturers and professional car builders recognize this and have been using relays instead of bulky switches to improve the quality and reliability of automotive electrical systems for decades. Our Power Centers utilizes high quality relays to distribute power to all vehicle loads. This means no more time-consuming mounting and wiring add-on relays. The heavy duty ignition and headlight switches required by other manufacturers are not necessary with these kits. 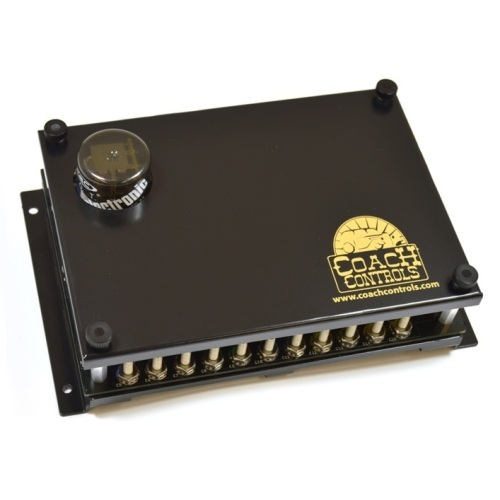 The new Coach-1 wiring kit provides many modern conveniences such as Automatic Headlights, One-touch Power Windows, Lane Change signaling, Delayed Headlight turn-off, Dimming Dome Light, Smart Third Brake Light control, and much more. Options are available for a security alarm, European style signal lights, and even an option for later model vehicles that require dropping the windows slightly to open the doors. 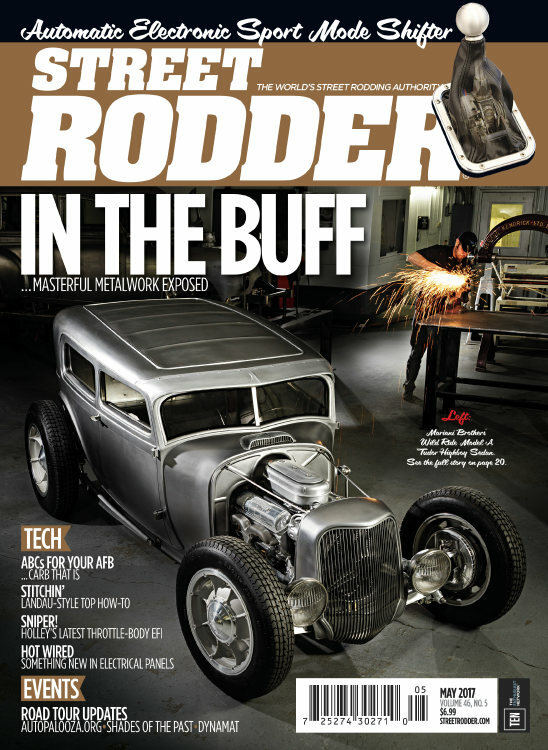 Designed primarily for open cockpit cars. 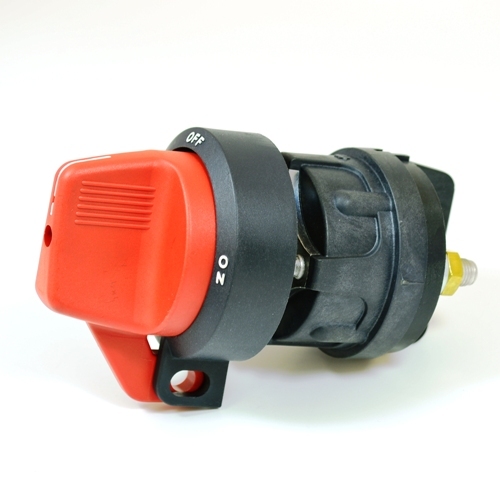 Includes relays for Horn and Turn Signals, plus relays for Ignition and Fuel pump, Headlights, Heater / Blower Motor, Cooling Fan, and Starter Solenoid. Includes Turn Signal / Hazard Flasher. Select Daytime Running Lights or conventional Headlights. Designed for coupes, sedans, and most cars. 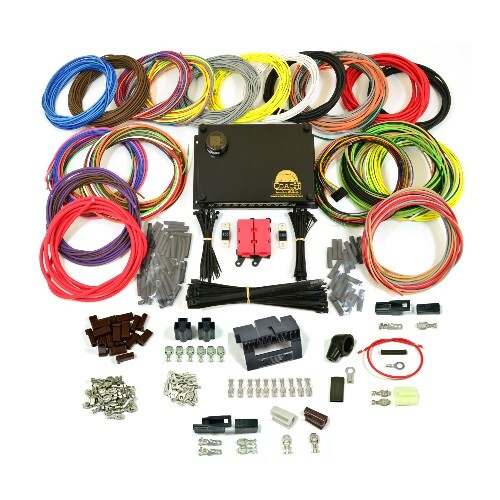 The ULTIMATE wire kit for DRIVERS! All three kits are available in standard and long versions. The standard versions are designed for mounting the Power Center under the dash. 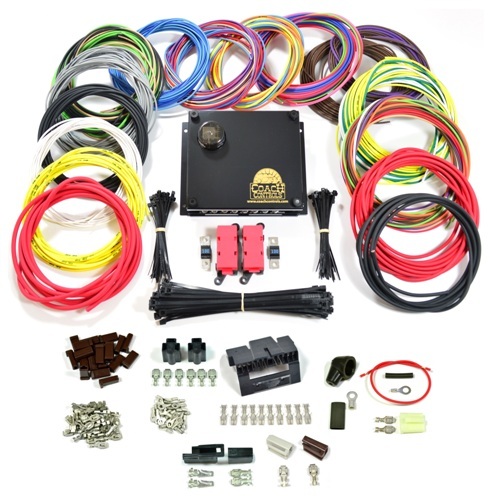 The long wire kits include wires that are 5 - 10 ft longer and allow the Power Center to be located elsewhere (under the seat, in the trunk, etc.). 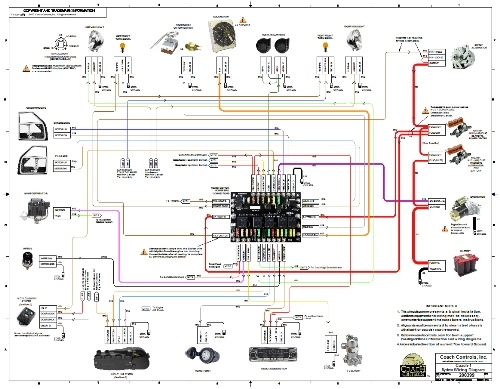 Base kits are also available that include just the Power Center and essential heavy gauge wiring for retrofit / upgrade applications where the car has already been wired.